RenderMan Pro Server 16.4 introduces the new randomstrat() function to RSL. This new feature simplifies the generation of random samples in one and two dimensions and can reduce image noise when used in conjunction with distribution ray tracing, such as the Physically Plausible shading framework provides. This application note provides details on how to use this new shadeop. Jittering is a widely used stratification technique for reducing noise variance in distribution ray tracing. Typically, we do this by dividing the [0,1) x [0,1) unit square into equally sized cells. For each cell we choose a uniform random point from within it and then warp the point from the unit square to the required domain to be sampled over (e.g., points on the surface of a light). By dividing the unit square into strata and sampling those rather than just uniformly sampling the unit square directly, the amount of sampling noise produced diminishes much more rapidly as the number of samples increases. 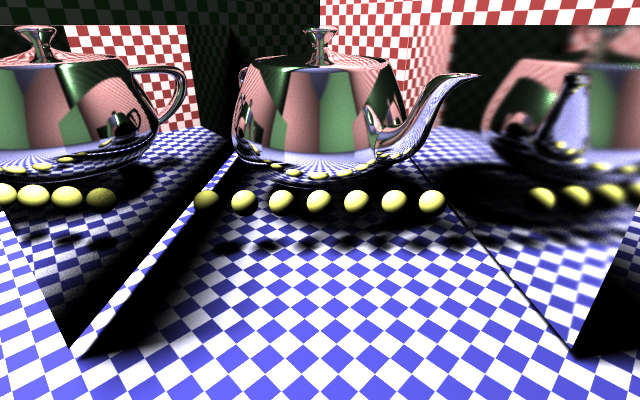 The two mirrors and the teapot use a surface shader that contains a similar pair of stratification loops for sampling over the hemisphere at the surface and computing an isotropic version of the Ward BRDF. Unfortunately, when reduced to a single sample per bounce we lose all the benefit of the jitter and are essentially shooting rays using unstratified samples. This is particularly visible in the noisiness of the reflection of the penumbra in the left mirror, compared to its directly visible counterpart. 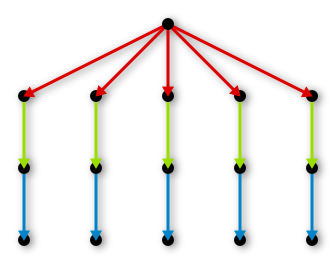 Unless we can somehow stratify across related samples in the ray tree we would need to take either significantly more samples at the first bounce or multiple samples at the later bounces in order to resolve the noise. The new randomstrat() shadeop helps to address this need. If the array is of type float it produces one-dimensional samples in [0, 1). Otherwise, with an array of points, vectors, normals, or colors it produces two-dimensional samples in the unit square (and zeros out z). It can also fill in the direction field, L, in an array of __radiancesample structs. It fills in the array beginning at sampleoffset and goes until it has produced nsamples. Variable length arrays will be automatically resized if necessary. 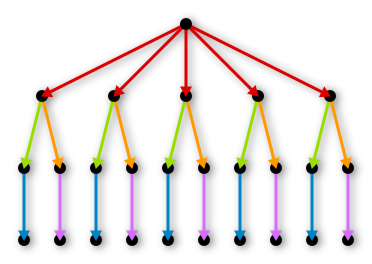 Internally, PRMan can now keep track of which rays are related by common ancestry in the ray tree. As the rays propagate from bounce to bounce they inherit this information. The randomstrat() shadeop can use this information to provide repeatable samples that are stratified across multiple rays. In short, sending a batch of rays from a single shading point always creates a new stratification group, regardless of any previously inherited grouping. Sending a single ray per shading point causes a new group of paths that inherit the stratification of their parent rays. The randomstrat() shadeop itself works similarly. When nsamples is greater than one, it ignores the existing stratification groups and generates a new batch of samples. These will be internally stratified but the set at each shading point will be independent of the sets at the other shading points. 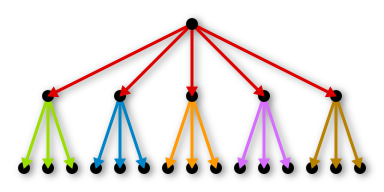 When nsamples is one, the sample returned in the ray will be stratified across each related set of shading points as determined by the ray tree inheritance. 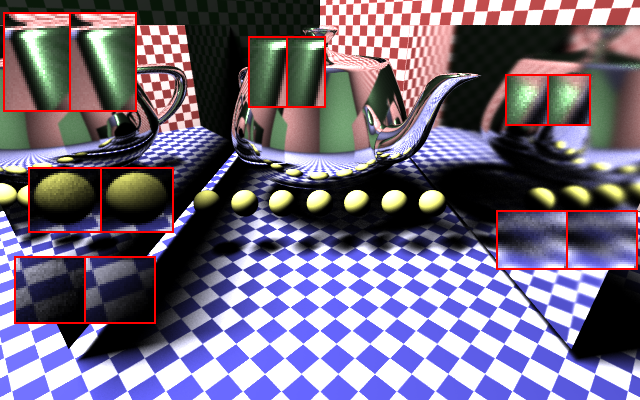 Note that in general, the ray tracing shadeops determine the stratification relationship that randomstrat() will assume. For best results with randomstrat(), you will typically want to have a one-to-one correspondence between an invocation of it and a subsequent launching of rays. Only explicit sample generation in RSL via randomstrat() produces stratification across related rays when tracing a single sample at a time from each shading point. The generateSamplesAS(), generateSamplesEnv(), gather(), occlusion(), and similar shadeops do not yet take advantage of this new capability. In the current release, we distinguish between stratification over single vs. multiple samples at a time when invoking randomstrat() or ray tracing. In the future, we would like to allow cooperative stratification. For example, in the case above of a shading point tracing five rays on the first bounce, each of which traces three on the second bounce, we would like to have each group of three be stratified but in a such a way that all fifteen rays are also well stratified.